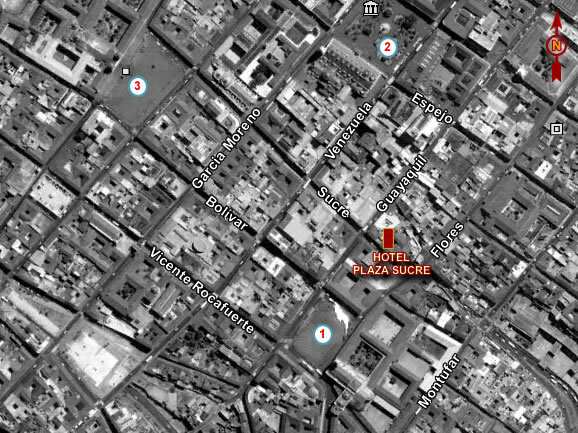 Boutique Hotel Plaza Sucre is located in the heart of the city of Quito, surrounded by tourist attractions such as churches, museums, plazas, this being a commercial and business area. Its infrastructure has been restored and reconstructed, preserving steps, corridors, pillars, walls dating from the eighteenth and nineteenth centuries, the colonial and republican. Inventory is part of Municipality of Quito Cultural Heritage. Sucre Plaza Hotel offers a warm, comfortable, quiet and stylish making guests feel right at home. Boutique Hotel Plaza Sucre has 25 rooms divided between singles, doubles, triples, suites and business suites with 70 seats. All rooms are equipped with safe, wireless, cable TV, water heating solar panels, amenities allergy products, hairdryers, board games, direct dial national and international telephone, alarm clock system and soundproof.